The idea for this new blog series came about accidentally. 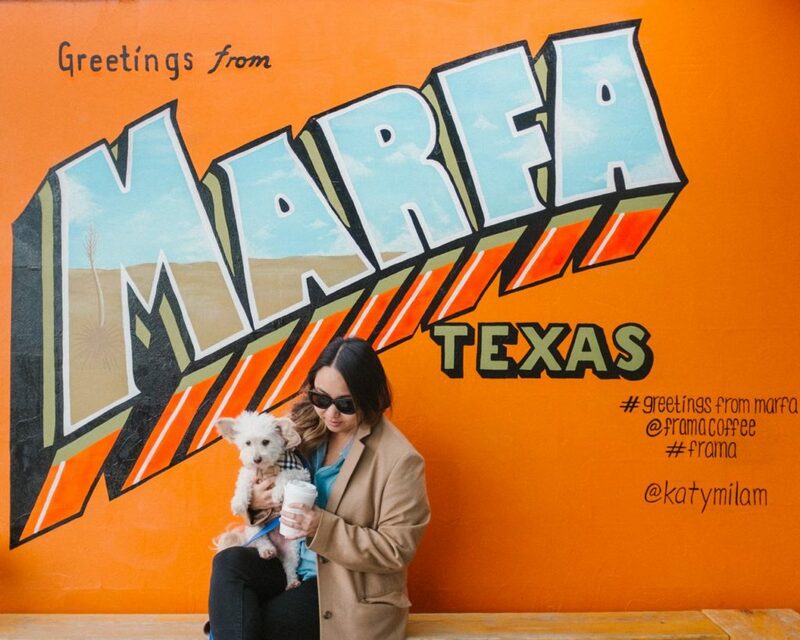 When I initially booked our trip to Marfa, I envisioned doing an elaborate city guide… where to stay, shop, eat, etc. What I didn’t account for was the fact that everything would be closed for the holidays and our dog Zeus would suffer the worst anxiety from traveling, so we’d be unable to leave him alone in the room. Best laid plans, right? 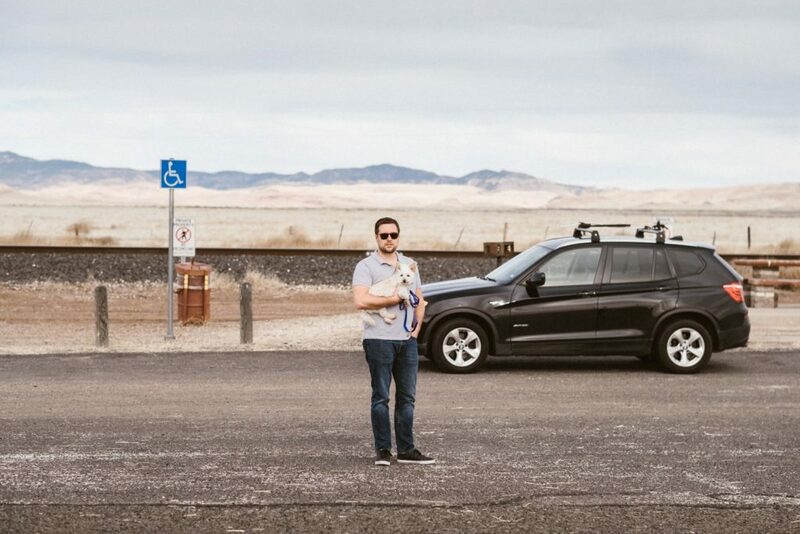 We ended up spending our entire trip exploring Marfa (with Zeus) and taking pictures along the way. If anything, we wanted to get some fun prints to decorate our house with because our walls are currently sad and blank. When I sat down afterward to decide how to cover this on my blog, I thought about the vision I have for the site going into the new year. My word of the year for 2017 was essential. I made a huge career leap and turned my world around. Minimalism helped me cut out the clutter from my life, while new perspectives gained at work showed me what really matters. This next year, I’ve chosen contribute as my word and guiding principle. I want everything that I do, be it on this blog or in my outside life, to give back in some way… teach, inspire, support. Which leads me back to Marfa. Instead of traditional city guides and reviews, I’m going to start posting photography tips and techniques, inspired by the places we visit. Each photograph will include details about what gear and settings were used for the shot. I don’t claim to be an expert in any way, but hope it makes photography a little more accessible for those who want to learn more. It’s a teaching experience even for myself, showing where I have room to grow. For example: during several of the shots in Marfa, I was so pre-occupied with calming Zeus down or not getting hit by cars that I forgot to fix the ISO on my Fuji X100T and ended up shooting at a higher setting than I should have. We’ve got fun trips planned this year, including Venice in February and an Alaskan cruise in July. I’m excited to practice my travel photography and share the process through these photographer’s guides. Let me know if there is anything photography-related in particular you’d like to learn this year. With that said, scroll down for my very first travel photographer’s guide! This fun mural by Katy Milam is outside Frama at Tumbleweed Laundry. You’ll need a wide angle lens to capture the full mural– I used my Fujifilm X100T which has a 23mm lens equivalent to around 35mm on a full-frame DSLR. The mural is covered by a shade and you don’t have to worry about inclement weather. This does make the photo more cool-toned, so I increased the temperature a lot in Lightroom for the bright warm colors. I also used the gradient tool to dodge shadows and burn highlights, making the lighting more even. I shot this photo from across the street in front of the Central Fire Station. In retrospect, I wish I’d had a longer telephoto lens or moved in a little closer– but I do like having the flags in the frame. I’m still getting the hang of nighttime photography. Technically, I should have used a tripod and longer exposure for this sunset picture, but since it was handheld, I bumped up the ISO. I wasn’t too concerned about the extra noise, because I knew it wasn’t for print. 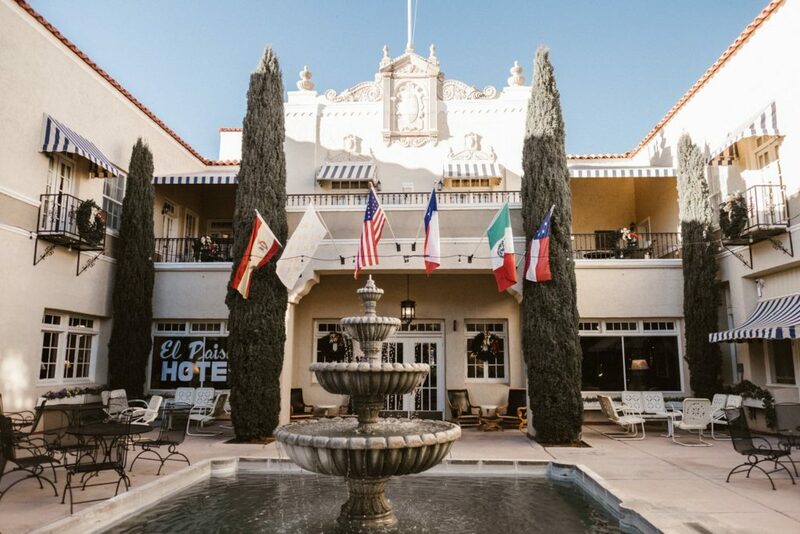 I fell in love with the Spanish Revival style of Hotel Paisano. In order to fit more of the building in the frame, I used my widest lens- 16mm. The morning light was kind of harsh and created a lot of contrast between the shadows. I used the gradient tool in Lightroom again to dodge shadows and burn highlights. I would have loved to go inside Chinati, but it’s unfortunately not dog-friendly. I snapped this photo with my X100T as we were walking, and vowed to make another trip to Marfa in the future (sans puppy companion). 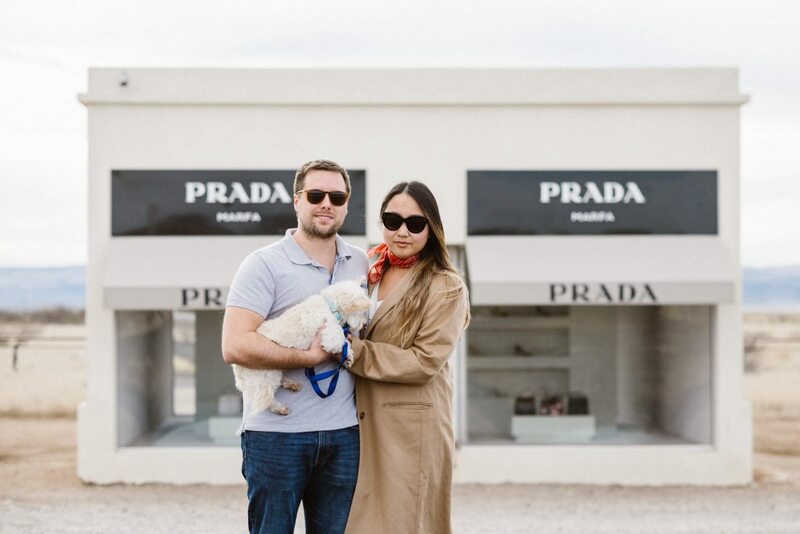 Since Prada Marfa was one of the main reasons we took this trip, I wanted to make sure we got the best images possible. The problem with traveling as a couple is that most of our pictures only have one of us in it. For the photo below, I set up my camera on a lightweight travel tripod and took a few test shots of Holden (and Zeus) to get the exposure and focusing correct. In my right hand, out of view, I am holding a wireless remote to release the shutter. Using the self-timer is an alternative to the remote, but the countdown always stresses me out. The remote allows me to take my time getting back in the frame and ready for the shot. If you order this one from Amazon, be sure to select the one that is compatible with your camera model. The weather was overcast when we visited Prada Marfa, so we didn’t have to worry about lighting. Under normal circumstances, I’d recommend going a little before golden hour (in case there is a crowd and you have to wait your turn). Golden hour is the hour before sunset or after sunrise. 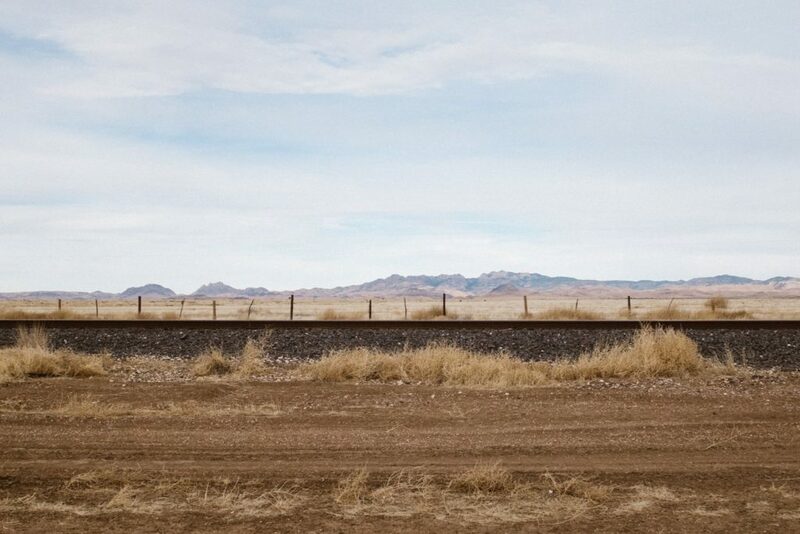 There are so many photogenic spots along the highway towards Marfa and beyond. We stopped at this picnic area on the way back from Prada Marfa in Valentine. I highly recommend finding designated rest stops and parking lots so you have more safe room for pictures. 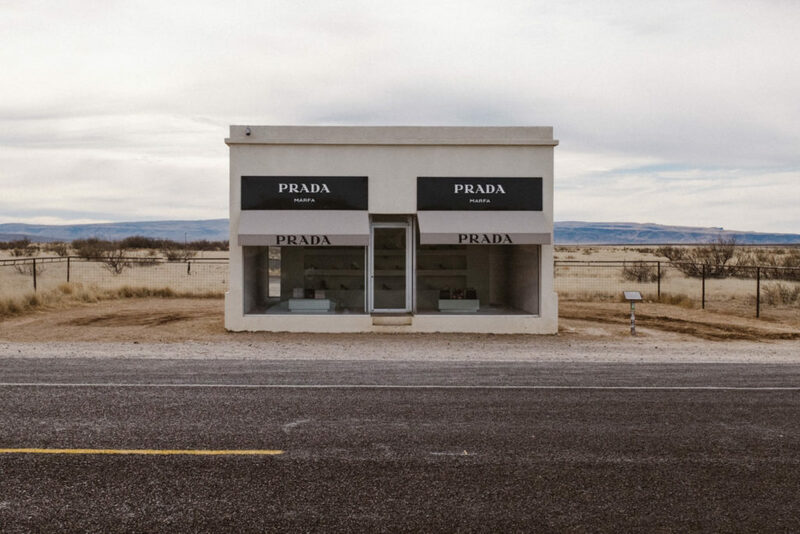 It was incredibly nerve-wracking at Prada Marfa trying to setup photos right along the highway. 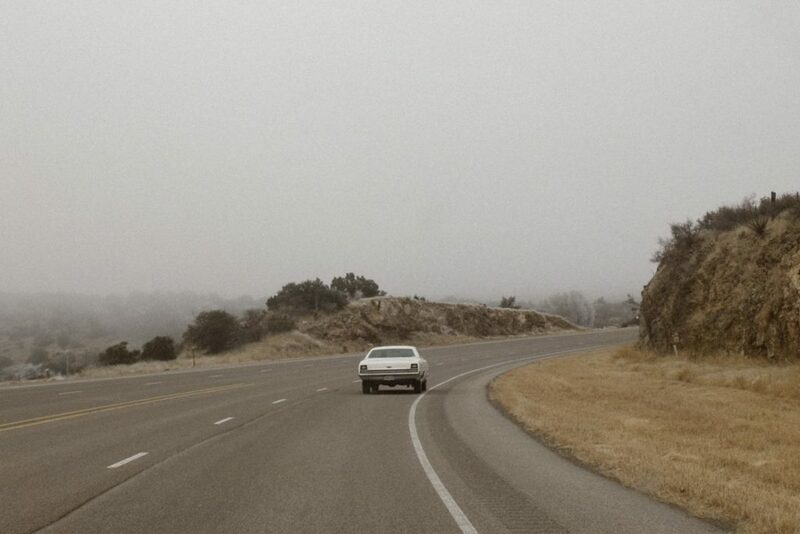 The photo below was taken as we were leaving Marfa. The fog made for a creepy, but cool, backdrop, and the retro car in the foreground was a timeless subject. I always try and keep my X100T handy. The manual dials make it easy to adjust settings quickly. I used a high shutter speed that would help me capture the picture while we were moving. I loved the slow pace of this quiet town. 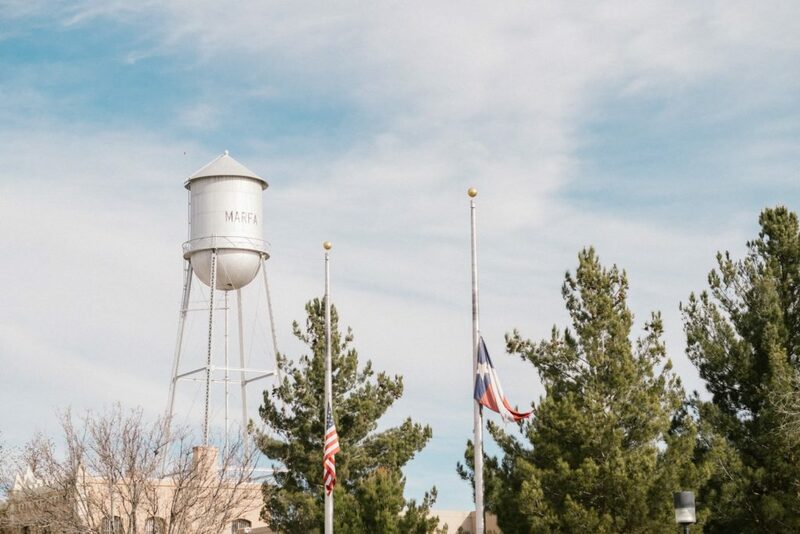 Marfa is the perfect place to discover new inspiration and practice your technique. I used KLN Lightroom Presets from Tribe Archipelago (with tweaks) to give a warm, vintage feel to the images. Shop my travel photography gear below, and please feel free to reach out in the comments with any questions you have. Thanks for sharing. 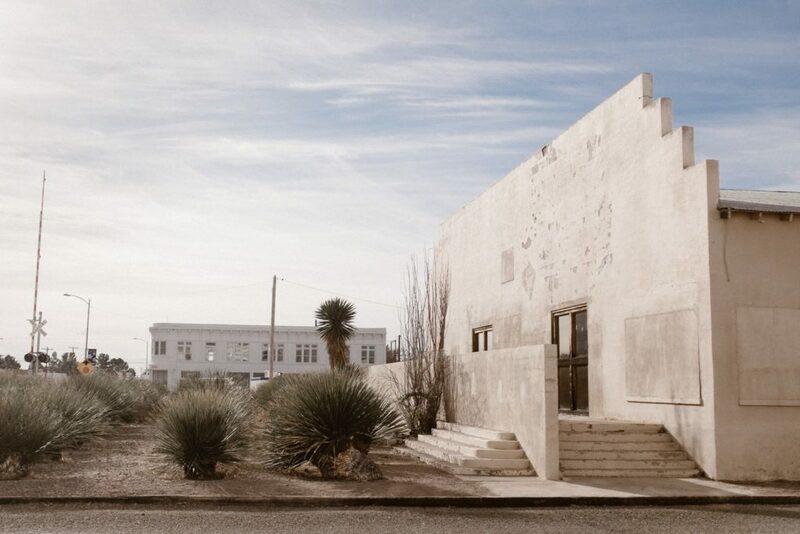 I’ve been wanting to take a photography trip to Marfa too. Love your little Zeus. Bless his little doggie heart ❤️. Love your photos and the tips the capture them. 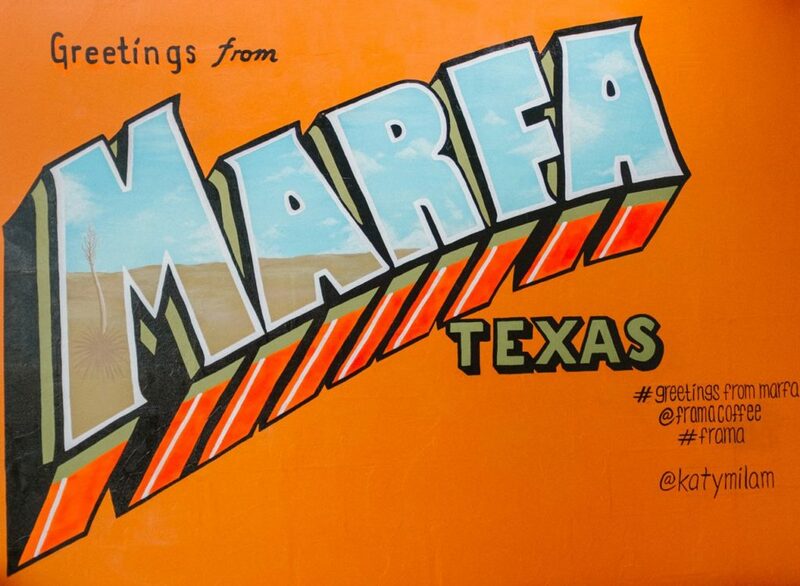 Need to make it to Marfa one of these days. Looking forward to more travel photography posts! Love your photos! 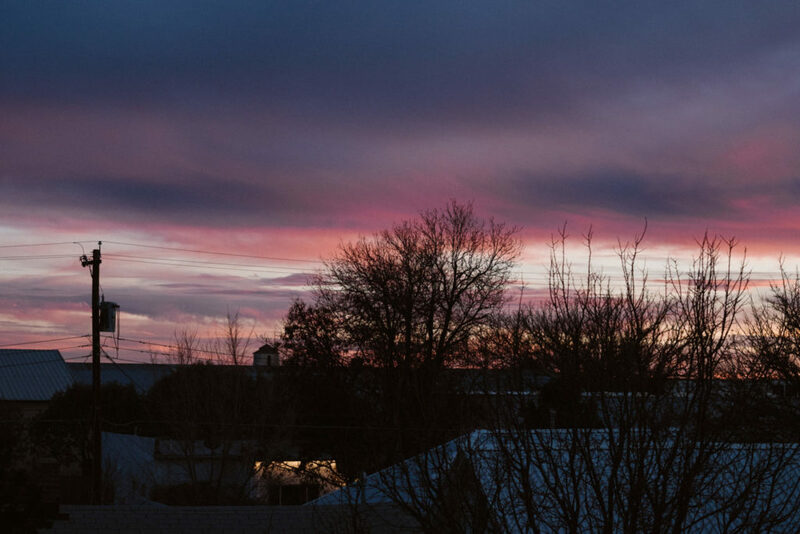 I hope someday I could visit Marfa and take some photos.